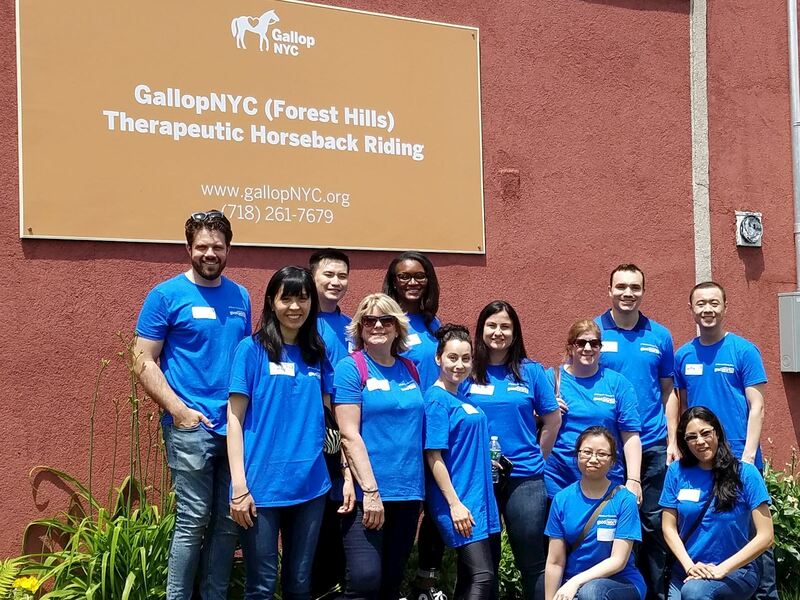 GallopNYC welcomes company teams of volunteers! We’ve had great groups from Blackstone, Moody’s, Goldman Sachs, Deloitte and others. Corporate group volunteers can support therapeutic lessons or complete special projects. Our different locations have different capacities for the amount of volunteers. All group volunteers will be asked to complete a brief online orientation as well as the electronic waiver at least a week before the date of service. Therapeutic horsemanship teaches the skills of horseback riding and horse knowledge to build developmental,emotional, social, and physical skills for each individual rider.Under the direction of a PATH International certiﬁed instructor, supported by trained volunteers, each rider progressively acquires riding skills and measurable improvements in life skills. Through weekly sessions, we help riders walk, talk, learn and have FUN! Check out our online schedule to see lesson availability. Side-Walking: Assist the instructor during therapeutic riding sessions by working directly with the riders. Act as an intermediary between the rider and instructor by assisting the rider in carrying out the instructor’s directions. 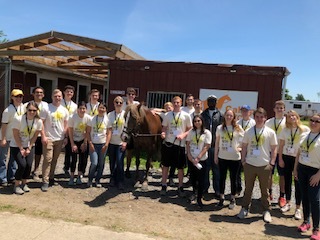 Lead- Walking: Lead horses during therapeutic riding classes, working with a group of side-walkers, keeping primary focus on assigned horse (and not the rider) while maintaining communication with team. 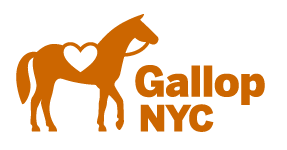 GallopNYC owns and operates two of our four locations, GallopNYC Forest Hills and GallopNYC Lindenwood (Sunrise Stables). Group volunteers can help with special projects around the barn including painting, construction and maintenance. To get started email GallopNYC’s Volunteer Manager, Cheriselle Scott at cheriselle.scott@gallopnyc.org including your preferred date of service, the approximate amount of volunteers and your preferred time frame.